In my previous post I said Pacific Coast Auto doesn’t do dealer buys. It turns out this isn’t true which annoys me because I could have used them to buy this car. Probably would have just got it two weeks later. The only caveat is that they charge extra fees for doing that they normally wouldn’t. 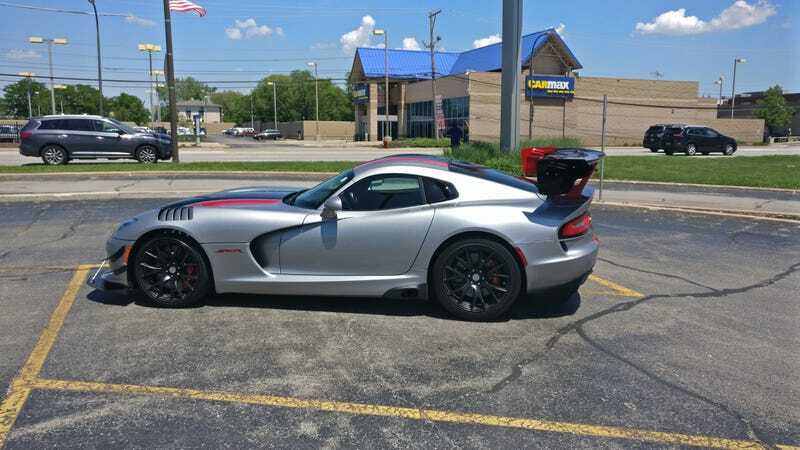 I spotted this Viper ACR at the Chicago Ridge Mall when I visited the city to see Slayer this past weekend. Hope you enjoy it.